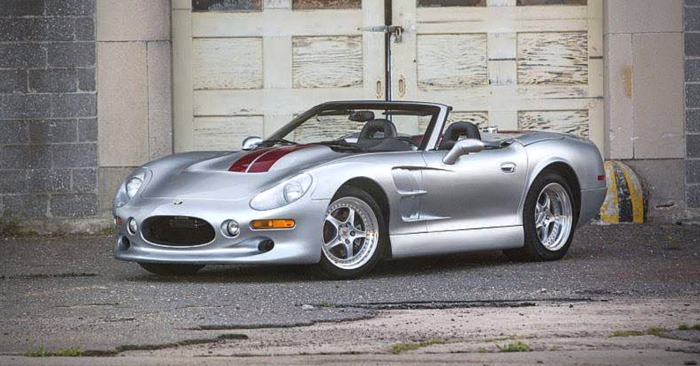 With over two million vehicles listed on Carsforsale.com, and thousands more added each day, there is a wide range to choose from. 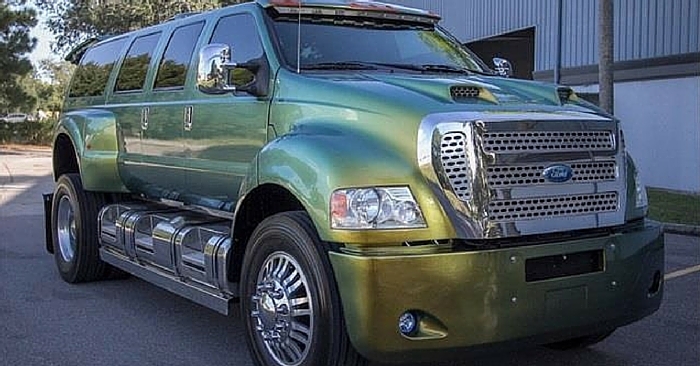 On Wednesday, we find a few of the vehicles that stick out as being odd or different from the rest in what we call Weird Stuff Wednesday. Car buying should be fun and although not all of these vehicles may interest you, there should be no doubt that these are some fairly fun vehicles. Our first vehicle is this 1957 Volkswagen Bus for sale in Sacramento, CA. The 1970’s was a time of free-spirt and enlightenment through one’s self-expression. 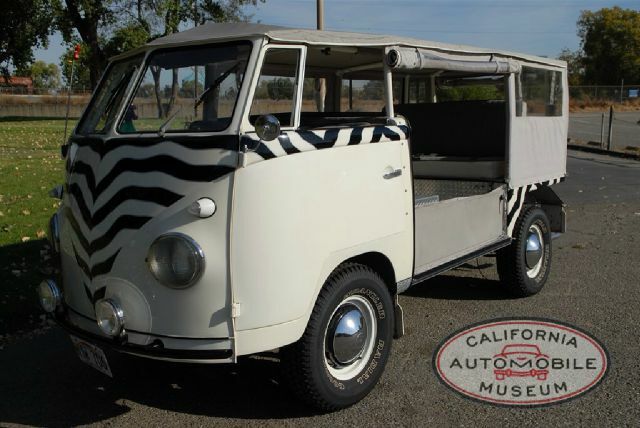 Many VW busses were converted into works of art or more practical vehicles during this time. This however, may be the most interesting custom VW Bus we’ve seen. You will be ready for an African safari as this has been converted to hold several passengers inside a vinyl cover. The exterior has been painted with zebra stripes to blend in with the surroundings while on safari. Even the interior dash and engine has been painted with the black and white stripe design. 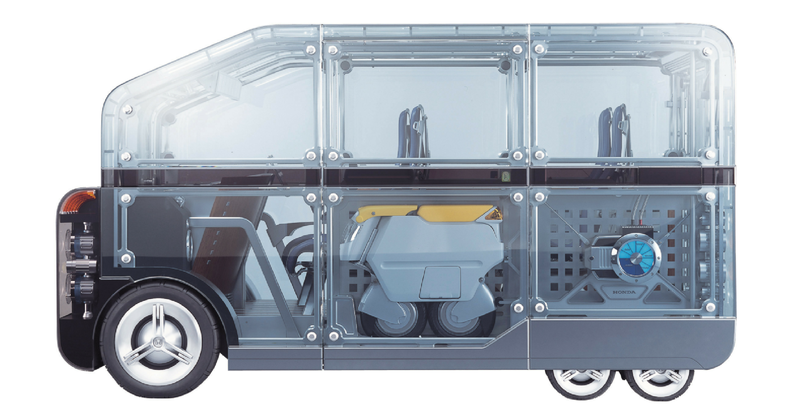 This Zebra-mobile or Z-Bus is also surrounded by a roll cage and the canopy surrounding it can be raised and lowered, depending on how much of the cabin you want to expose. 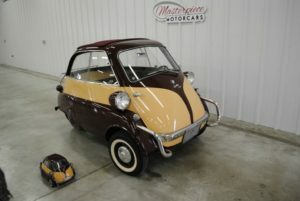 The next vehicle we found was this 1959 BMW Isetta available in Germantown, WI. This is actually a fully restored Isetta, which was a micro car that was built for optimal fuel consumption and was able to get around 95 MPG. 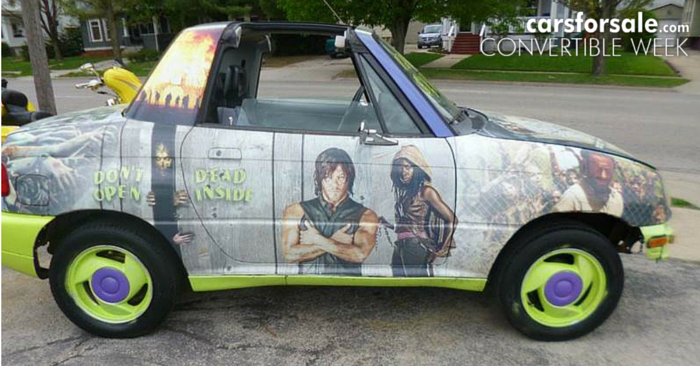 Passengers of this vehicle need to enter it through a suicide-style door in the front of the vehicle. 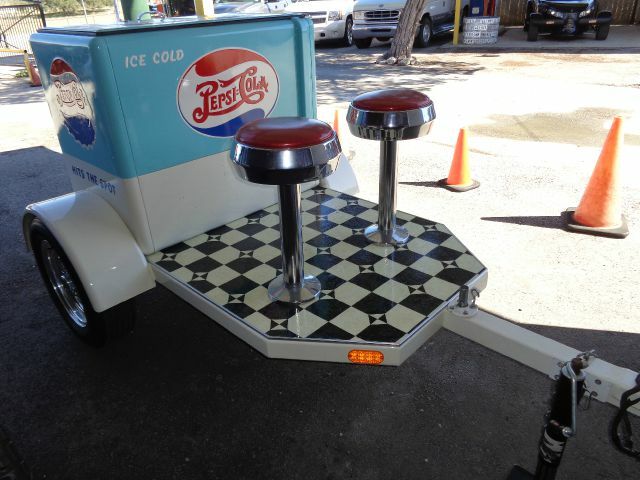 The steering wheel is positioned in the middle of the front bench seat and although the windows do not roll down, the Isetta comes with a flap sunroof for ventilation. The real gem of this vehicle is that it comes with a handmade 1/20 scale remote control version of this strange car. Think about it. It’s a micro car that comes with a bonus micro car. 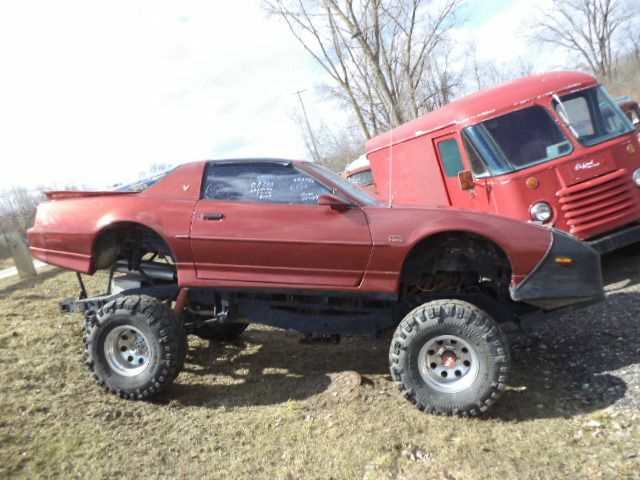 The last vehicle we found was this 1989 Pontiac Trans Am GTA selling in Jackson, MI. 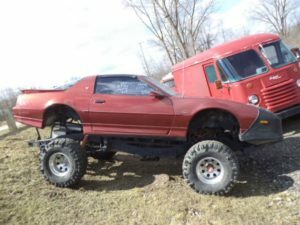 We see a ton of lifted vehicles on Carsforsale.com but they are mainly trucks and large SUVs. This Pontiac Trans Am sits nearly three feet above other vehicles on the road. The interior has also been customized and includes bucket race seats to hold you in place while you torture the smaller vehicles on the road. Seeing as though this vehicle is lifted several feet above the road, it makes sense that you have a great view of the sky. Unlike those other lifted trucks, this Pontiac comes with a drop down T-top; the 1980’s version of a sunroof. 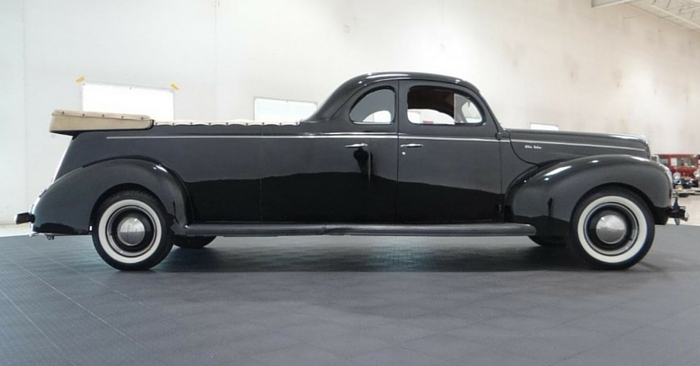 If you happen to find any vehicles that stand out as being different while searching Carsforsale.com, send them our way. We love hearing from you and we may even feature the vehicle in an upcoming issue of Weird Stuff Wednesday.